In our backyard, we have welcomed some enchanting neighbors. We’re fairly sure it’s Fairies. Over the past few years we have had a succession of magical garden visitors, with different doors and entry ways. Some, more stylish, made with found objects and brightly decorated. These doors seem to belong to Garden Fairies. Other doors are different, made from roughly-hewn wood, and not decorated artistically, at all… other than the beautiful curves and arches of the wood, made by Mother Nature! We believe these are Gnome Homes. 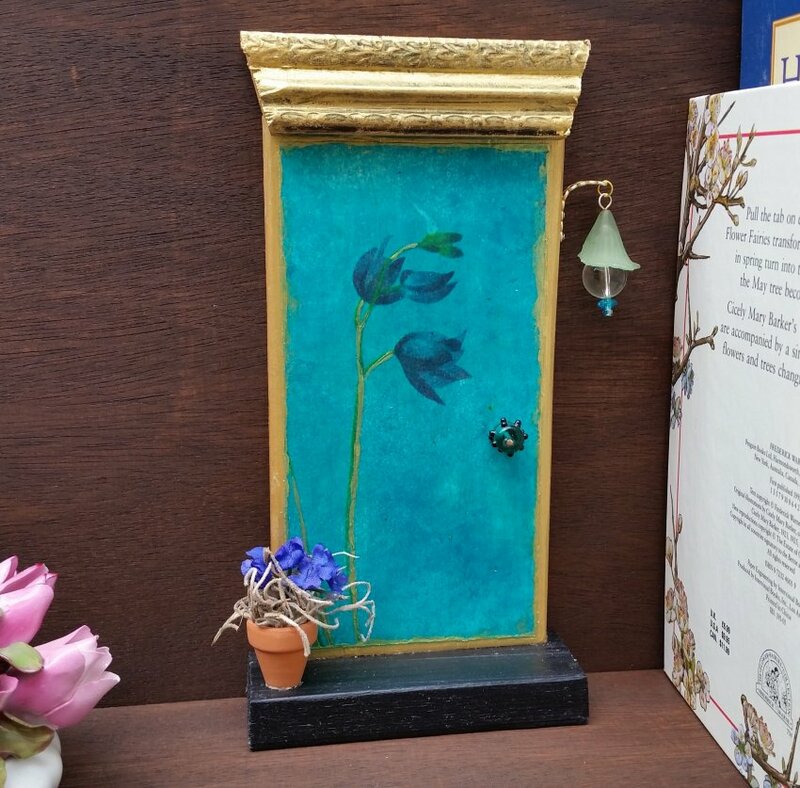 They are one-of-a-kind doors, made from wood, but there are no bright colors or decorations. 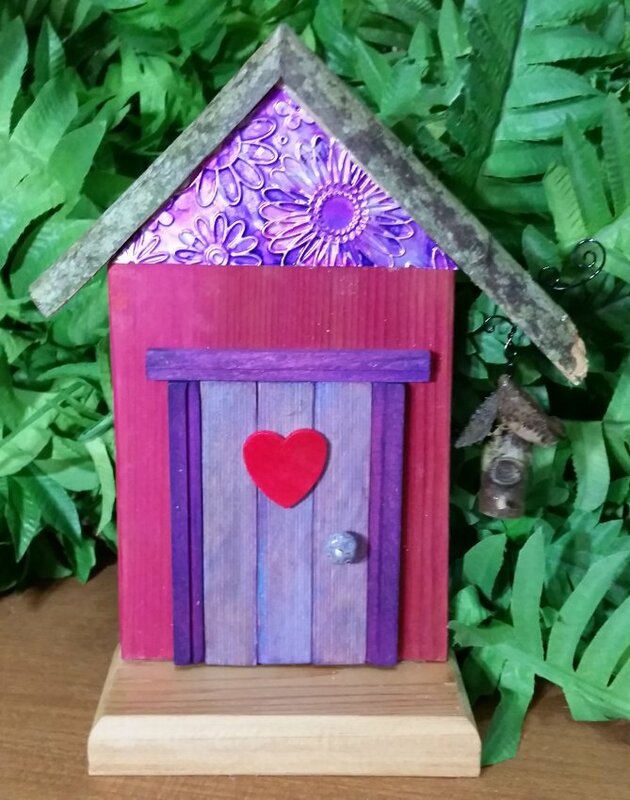 Man-made objects are eschewed, as they seem to favor more practical hand-made items, such as a planter, mailbox, or a dragonfly house… and nary a found object or man-made item in sight. 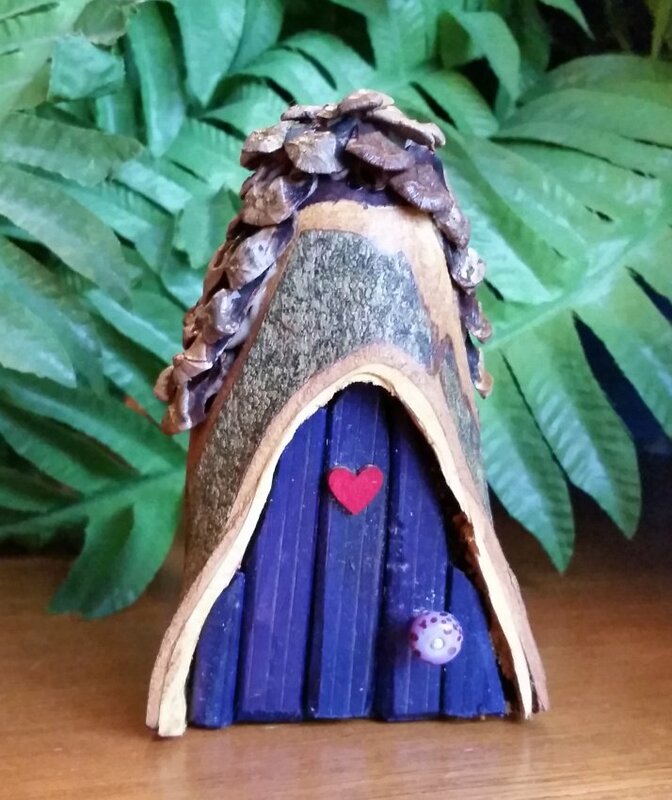 Then there are the Woodland Fairy Doors. 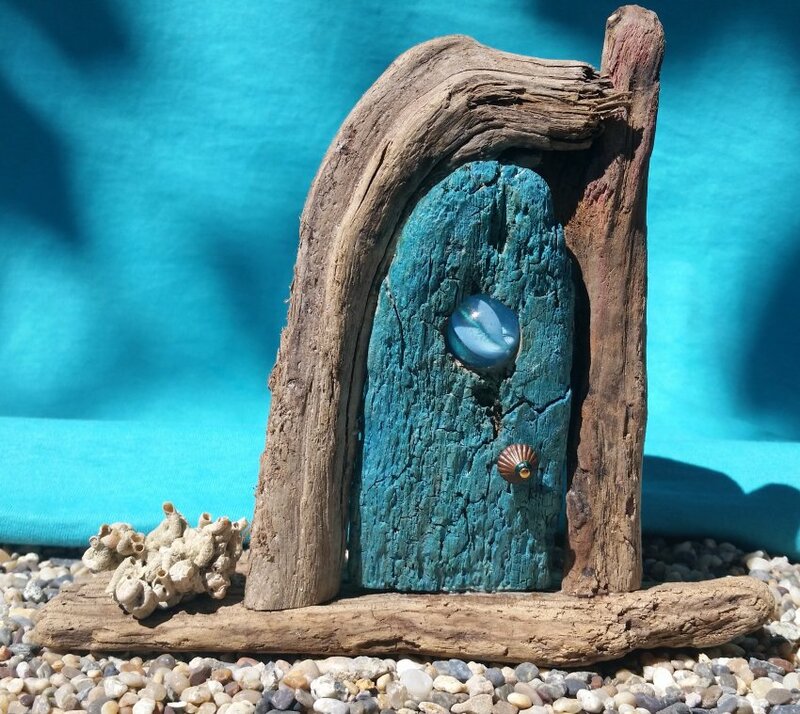 They’re smaller than the average fairy door, as they are tiny doorways carved into sections of tree trunks and branches. Their architecture seems to favor the shapes created by Mother Nature. They are particularly fond of the pinecone roof style, but as far as color, materials and adornment – anything goes… there doesn’t seem to be any rhyme or reason… but they are gorgeous, whether for inside the house, or out in the garden! Beachcomber fairies are free-spirited and love the water. A bit bohemian in nature, they scavenge the shores for beautiful shells and pieces of driftwood miraculously carved by the ocean and bleached by the sun, to create their homes. Some fairies are not the outdoorsy types. We’re sure they come and go, but they are mostly homebodies who prefer the warmth of a cozy bookshelf or potted fern. They are just not interested in the great outdoors or “roughing it”. Their doors come in every style and color, although they tend to be a little more sophisticated, elegant and ornate. In December, we’ve seen some Elf Doors “pop” up. They are a much more “Seasonal” entryway! And then, there are the Hobbit Holes… the rarest of them all! No two doors are alike. 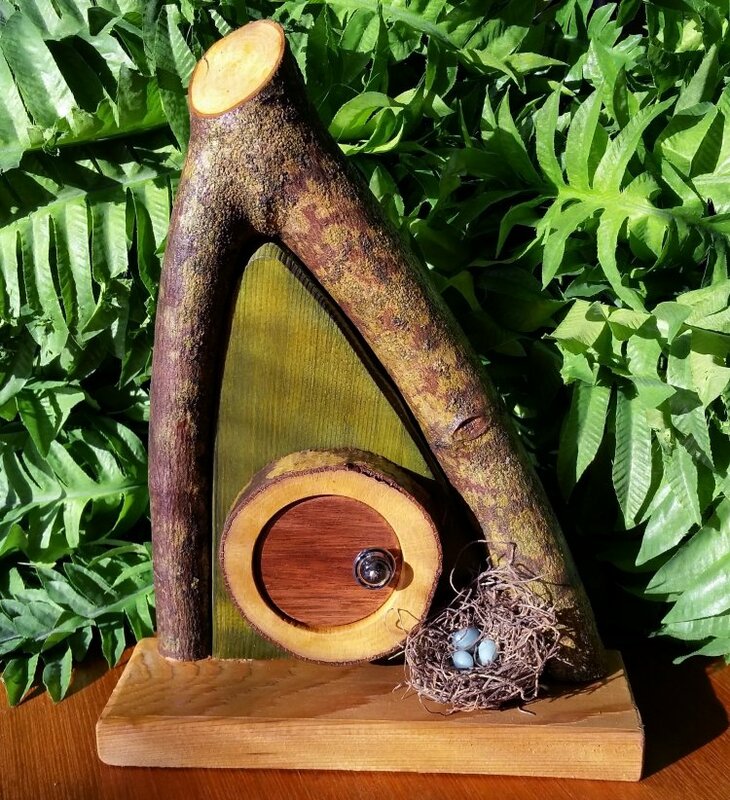 Made from magnificent branches, the Hobbits seem to like to mix brightly-colored earth tones with the natural beauty of wood. And the doors are ALWAYS round. They also seem to be very independent, and do not care for man-made objects or excessive decorations. 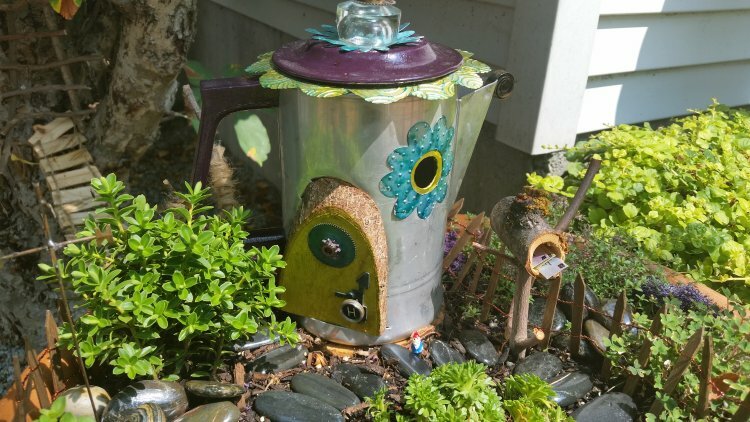 Recently, the Garden Fairies have taken up residence in one of our planters, with a coffee pot home, a wishing well, and a tree fort. 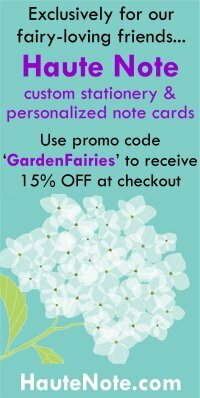 Because we own Haute Note – a personalized stationery company, we were MOST excited to see that even magical creatures are a fan of handwritten correspondence! See the little letters in their mail box? Perhaps a note from a Gnome back home? A letter from a Leprechaun? A Hi Howdy from a Hobbit? 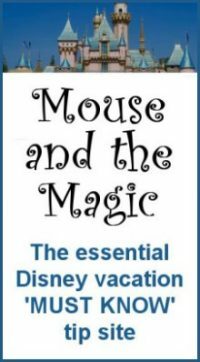 A postcard from a Pixie? We can only wonder if snails actually deliver the Snail Mail! 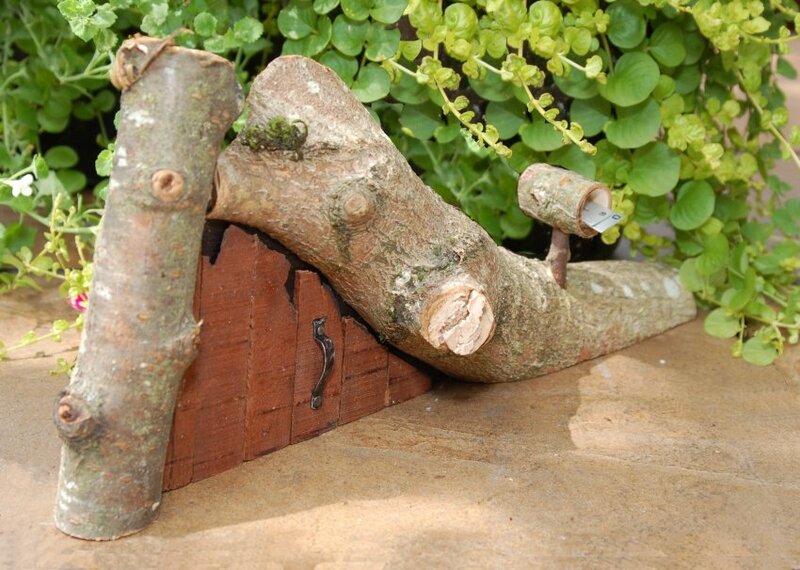 Take a peek at the video below, and see how creative they’ve been, building their home and accessories from found objects, using twigs, branches, bark, bottle caps, game pieces, wine corks, buttons, old keys and more! 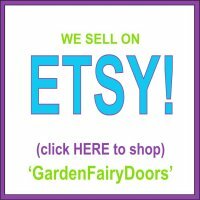 This website is where you can find fairy doors for your garden, gnome homes for your walls, as well as fun and easy fairy projects and ideas. 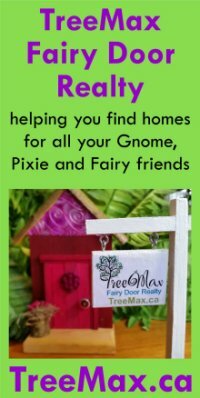 We offer a number of pages, hints and links to understanding, communicating with and helping your garden fairies, gnomes and pixies settle into your yard, and become friendly with you! 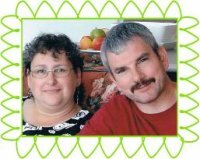 We are Lorie and Bob Gray, and when we aren't busy running Haute Note - an online personalized stationery & note card business, we are helping our friends, neighbors, and maybe YOU, get the Garden Fairy door that you (and/or your kids) have always dreamed of! Check out our Kiva Lending Team!